Summer means pool parties, gardening, and landscape projects. When autumn inevitably comes, a new set of projects greet us: raking leaves, maintanining lawn equipment, and shutting down the pool. As you work in your yard throughout the summer and fall, remember to use best practices for environmental safety. Individuals and communities can help reduce pollution and protect waterways by changing a few bad habits. 1. Proper gasoline usage, storage, and disposal. Residents may use small containers of gasoline to fuel their mower, leaf blowers or weed eaters. Use approved containers that allow for pouring without spilling. Fill equipment on a hard surface to easily detect spills. Clean up spills with kitty litter, saw dust or a towel. Never let gaoline or fuel flow onto the ground or into a sewer. This pollutes the environment. Do not dispose of gasoline down the drain or in the trash. Check with your town or county about utilizing your local household hazardous waste collection for safe disposal of excess or old gasoline. When raking up leaves and clearing out your flower beds at the end of the season, don't burn the yard waste or throw it in the trash. Compost it instead. When we throw away yard waste, it decomposes in a landfill and releases methane gas, a potent greenhouse gas. While many landfills are able to capture much of this methane, eliminating the gas at its source is even better. Burning yard waste can be dangerous and causes air pollution. Start a compost pile and use the nutrient-rich compost on your flowerbeds or in your vegetable garden in the spring. 3. 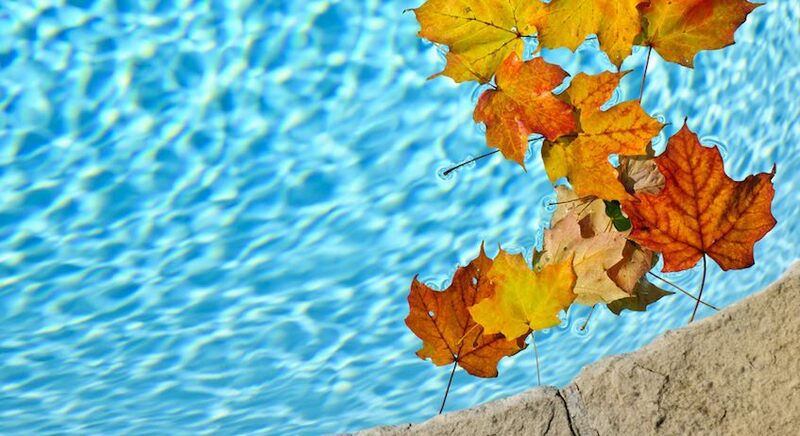 Let pool water sit untreated before draining. Chlorinated water discharged to surface waters has an adverse effect on local water quality. Swimming pools are a major source of chlorinated water discharged into sanitary and storm sewer systems. An average swimming pool holds 20,000 gallons of highly chlorinated water, which is toxic to wildlife and fish and may pose problems for the local wastewater treatment plant. One simple solution for this problem is to dechlorinate the water before draining the pool. Usually, if the pool water is allowed to sit for one week without adding pool chemicals, the chlorine will naturally degrade and it would be safe to discharge to a storm sewer. There are different options available to homeowners to prevent sending chlorinated pool water into storm drains. Many municipalities have ordinances that require permission to dispose of chlorinated pool water. In general, you should check with your local wastewater treatment plant operator to get permission to discharge to the sanitary sewer system. Do not discharge chlorinated water where it will flow into a storm sewer, waterway or ditch. 4. Don't water or fertilize lawns during a drought. Green, lush lawns, may be desirable in particular neighborhoods, but the work it takes to keep a lawn at its spring glory has an adverse effect on both the grass and the wider environment. Drought stresses a lawn and it's best to simply leave it alone during this time. In short, these activities simply cost you time and money, and in the end, they bring added stress to your yard plants and the environment. Click here for more tips on how to properly care for your lawn to keep it healthy and reduce negative impacts on the environment. When you change these habits, it benefits your wallet, your health, and your community.